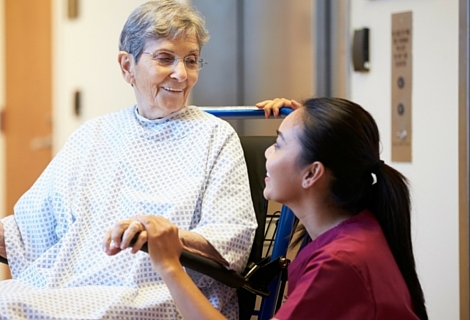 Robertson Reader | The Official Blog for Robertson College: Where do Health Care Aides work? Where do Health Care Aides work? As a large percentage of our population continues to grow older, there is a need for trained health care professionals to provide frequent, personalized and sometimes, around-the-clock health care. Health Care Aides can find employment as Personal Care Aides, Personal Support Workers, Personal Care Attendants, Patient Care Aides, Hospital Attendants and more! They work in nursing homes, assisted care facilities, private residences (home care), long-term care facilities, hospitals and other health care settings. Are you interested in pursuing a career in Health Care? Find out more about our Health Care Aide programs available at our Calgary, Edmonton, Winnipeg and Online campuses. If you live in Calgary, you are invited to attend our upcoming program information session. This information session is free to attend. Meet our instructors and ask any questions you have regarding the curriculum, job market and more! Pre-register for the event by clicking on the button below. We hope to see you there!